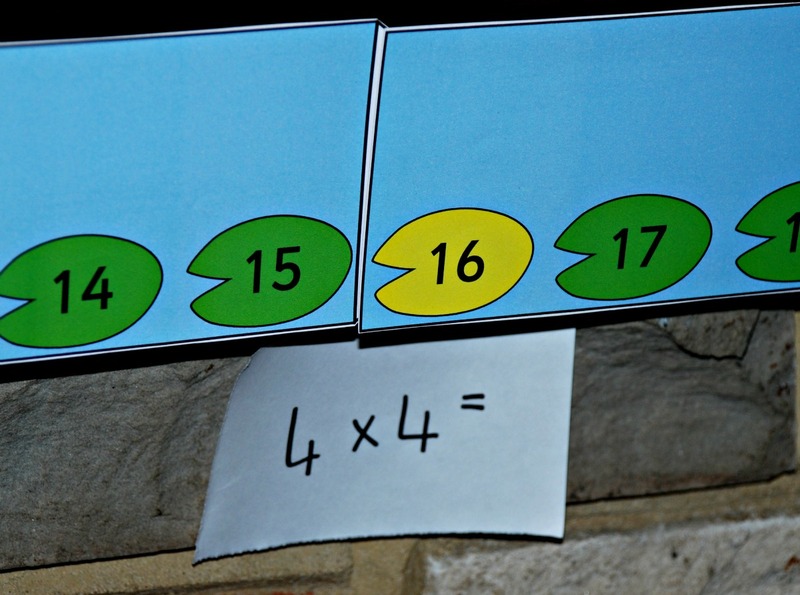 As part of my determination to make Maths fun I have been trying to find interesting ways to work on our times table. We have made a few fun folding aids, we have played some jumping games and now we have a Lily pad number line stuck up in our house. Yip we have a lily pad number line in our home – now that is something I never thought I would ever say. I liked this idea as it is something that we can leave up over the next few weeks and my daughter will keep seeing it and she will keep being reminded by it. She is a very visual learner so having visual aids like this around the house really makes a big difference. The key is not to have too many at one go and to know when to replace the exisiting ones with new ones. 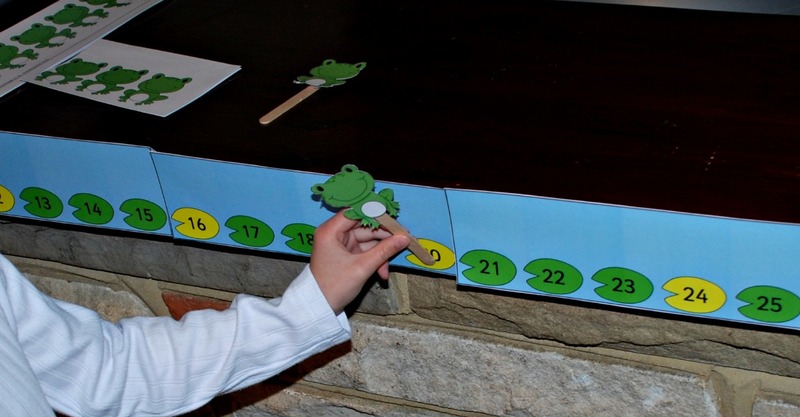 The lily pad number line is free to download from Activity village. 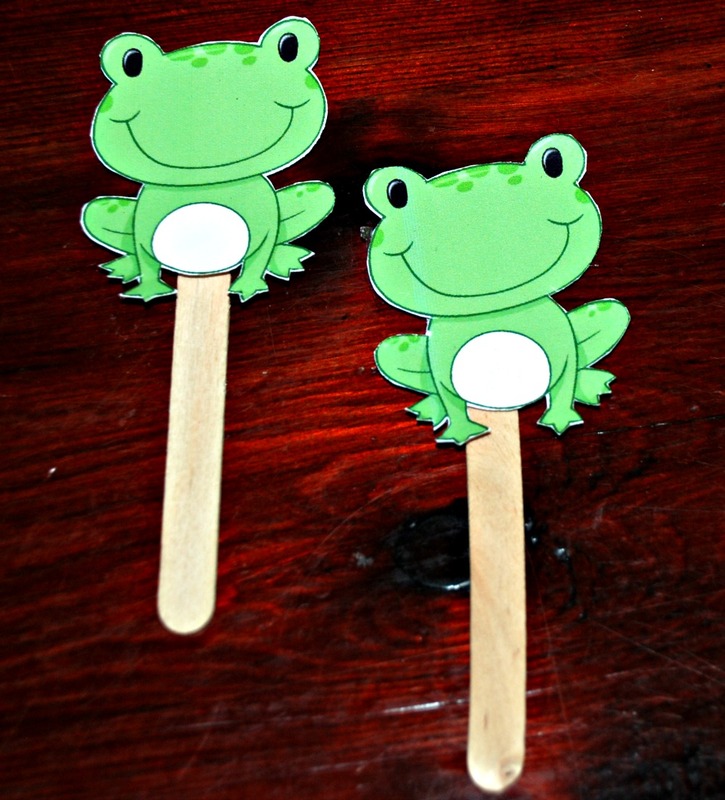 And just because we love having some cute goodies to play around with we used the Frog Number line makers to create our own frog stick puppets. ADJUSTMENT – when writing the post both were free to download but the Activity Village website has since changed and now these are part of their paid for membership deal. My daughter and son had some fun getting their frogs to only jump on the multiple of 4 Lily Pads. And we also made some 4 times table cards which my daughter stuck under the correct lily pads. And the day after we stuck up our new Lily Pad number line the neighbours frogs came to visit us in the garden (yes honest – our neighbours have some tadpoles and frogs in their garden and the frogs apparently like our garden too – kids are very excited about this). This entry was posted in Key Stage 2 and tagged activity village, home education, ks1 maths, ks2 maths, Multiples of 4, Times table. Bookmark the permalink.